USA – From its start in 1996 as a small independent plant by Grandville, Michigan’s Resurrection Life Church, Radiant Church in the Richland suburb of Kalamazoo has steadily grown its membership to 3,500 members. 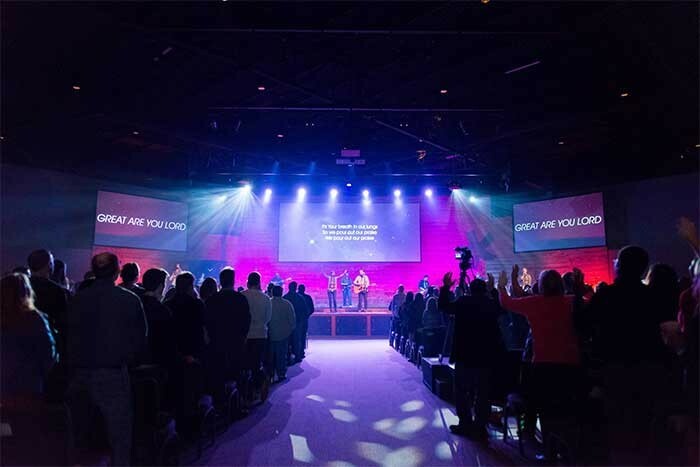 Recently expanding its service count to four each weekend – two on Saturday and two on Sunday – the church also freshly upgraded the audio facilities of its 1,050-seat sanctuary with a new ARCS “WiFo” (Wide and Focus) loudspeaker system from L-Acoustics. 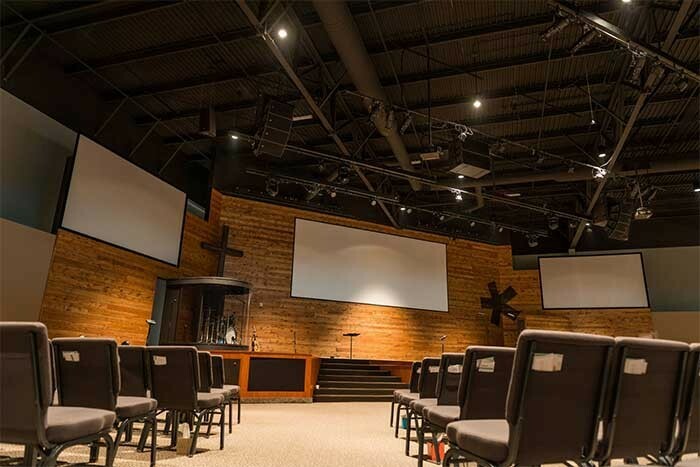 Parkway Electric & Communications of Holland, Michigan, provided the design and integration of the new system, which replaced an outdated PA rife with hot/dead spots and uneven low frequency coverage. The installation and commissioning process took Parkway only four days, which also included repurposing the previous rig for the church’s youth facility. Today, the main sanctuary system features left and right arrays each comprising four ARCS Focus enclosures flown in front of two SB18 subs per side. A single ARCS Wide system is vertically hung on the outside of each array to address the far left and right seating areas of the wide-yet-shallow sanctuary, while two centrally-flown SB28 augment the low end reinforcement. Four LA4 amplified controllers drive the entire system. “ARCS WiFo finds the sweet spot between value and high quality sound allowing our church to be a proper steward of its resources while not sacrificing excellence,” adds Asaro. “I’d highly recommend it to any house of worship that is looking for smooth, crisp audio that will do exactly what it needs to do without any unnatural colouration.